I'm Here. I'm Queer. What the Hell do I read? 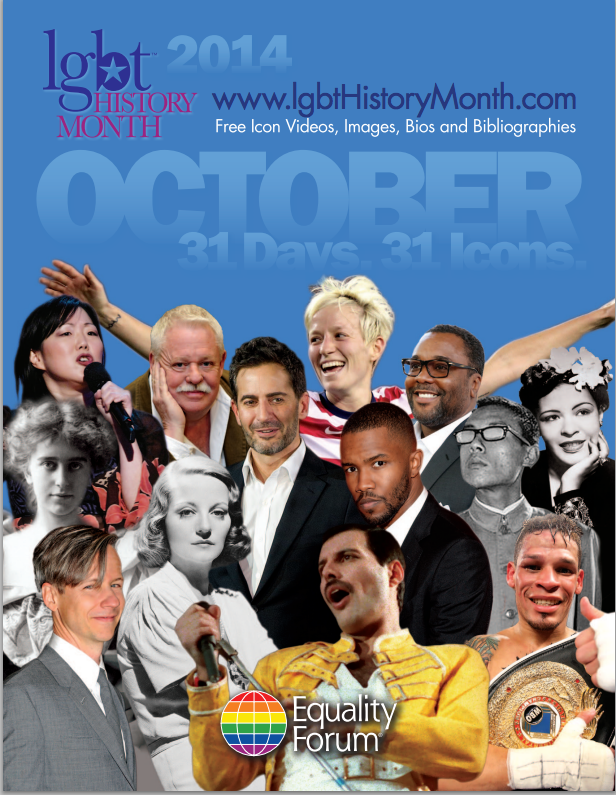 : October is LGBTQ History Month! I'm so excited that it's another month jam-packed with amazing LGBTQ people from history! Tallulah Bankhead! Freddie Mercury! Lord Byron! Ivy Bottini! Natalie Barney! Margaret Cho! Faisal Alam! Bernice Bing! Michael Callen! Check out the great resources (especially the pdf biographies of each of the 31 featured people in history!) at the equality forum's lgbt history month website. And happy LGBTQ History Month!